Airbus A350-900 commercial aircraft. Pictures, specifications, reviews. Long-haul wide-body aircraft Airbus A350 (Airbus A350) is developed by the European company Airbus aircraft to replace the A330 and A340. The aircraft is designed to carry 270 to 475 passengers up to 15,000 km. In this segment, the A350 competes with the American Boeing 787. It is planned to create three versions of the airliner: the basic A350-900, with a shorter fuselage A350-800, with a longer fuselage and larger wing A350-1000. 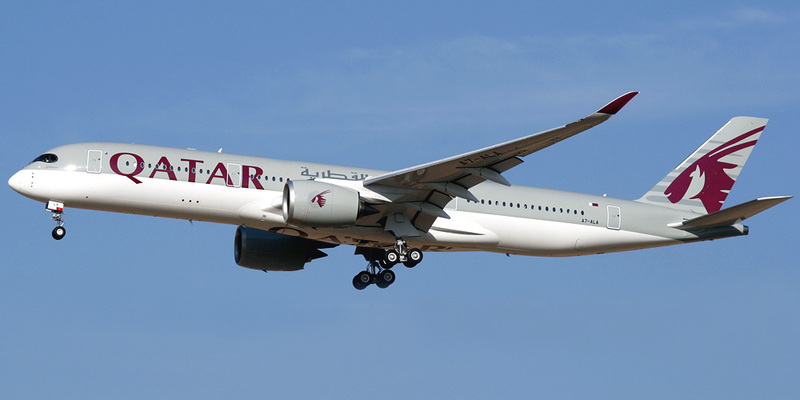 The maiden flight of the Airbus A350-900 took place in June 2013 and aircraft entered scheduled services in Jahnuary 2015.